At the Apple Worldwide Developer Conference this morning, Apple announced, and in some cases released, new hardware and software specifically designed for media professionals. NOTE: They also announced new versions of tvOS, watchOS and iOS which are also interesting, but outside the range of covering media creators. For me, the biggest change is under the hood with the release of the new Apple File System (APFS). HFS+ began 30 years ago. It was time for something new. Another big change is that one of the media standards that’s been missing in action with Apple is support for H.265 (also called HEVC). Originally designed to reduce traffic on cell phone networks by making file sizes smaller without diminishing image quality, Apple announced that this new video codec will finally be supported in all three Apple media apps – Final Cut Pro X, Compressor and Motion – as well as built into the new version of Mac OS X: High Sierra. Apple also announced that an upcoming version of Final Cut Pro X will support VR, as well as H.265. In fact, Apple is also including hardware acceleration in all their new laptop and desktop systems, which means that creating H.265 material will be really fast. Here’s the link to Apple’s press release on the Mac OS. Unexpectedly, Apple also announced hardware updates for both iMac and MacBook Pro systems. While the MacBook Pro upgrades are nice, they provide essentially the same performance as the 2016 MacBook Pro, from what I’m reading on the web; with the exception that switching to the Kaby Lake processors enables hardware acceleration of H.265 files. This is NOT true for the iMacs, which received a major performance boost, especially in graphics and RAM. The new features are VERY exciting for everyone that needs to push tons of pixels at high speed. 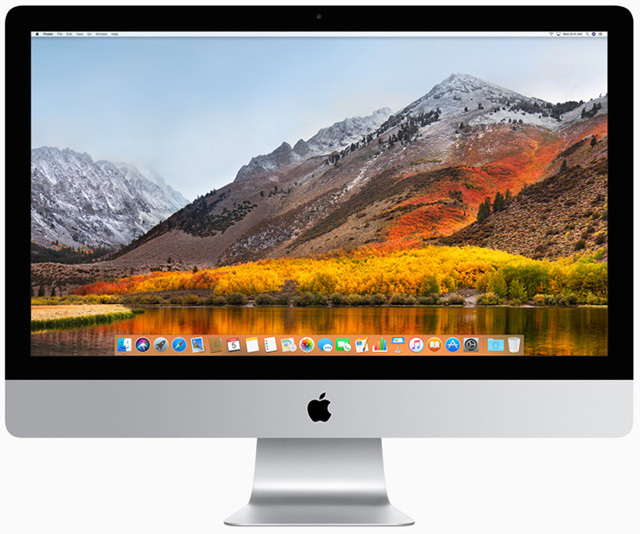 “Apple today updated its iMac line with up to three times more powerful graphics, faster processors, Thunderbolt 3, faster storage options and brighter Retina displays, and added a Retina 4K display and discrete graphics to the $1,299 (US) 21.5-inch iMac. All systems can be ordered today and start shipping on June 7. Apple also previewed the new iMac Pro, which won’t be shipping until December, with three times the performance of the current Mac Pro. Do you think “Metal 2” mean we will be able to use other GPU cards from an external enclosure? While I don’t know for sure, that is the impression I have, yes. Thanks for the update, Larry. 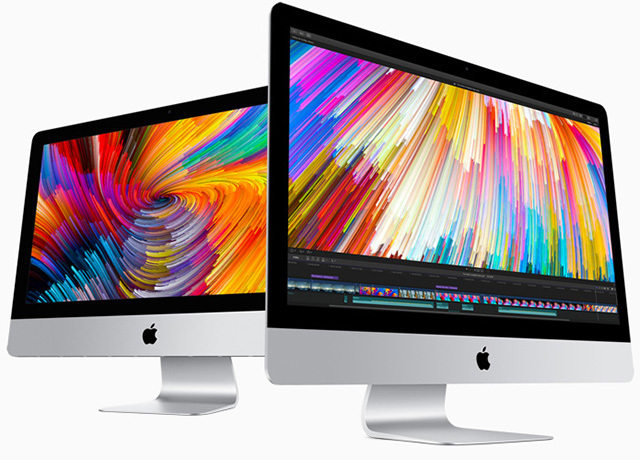 I realize that there is no “One size fits all” answer, but do you have some recommendations on the most appropriate configurations of new iMacs for video editors? I always lean toward larger screens, so I recommend the 27″. 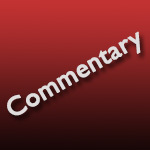 I need to read the rest of the specs and I’ll write a new article that covers my thoughts for next week’s newsletter. 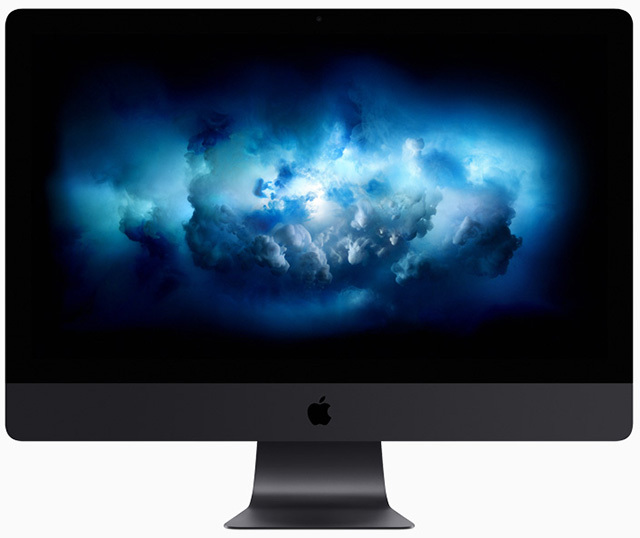 Hi Larry, exciting announcements for iMacs – but for the iMac Pro, Apple could have upped the game further, by instead going to a 28″, 29″ or even 30″ screen; thereby enabling the increase in available hardware space behind the screen that would then allow them to eliminate that current frontal aluminium section under the existing iMac screens. A). To help prevent damage in earthquakes. B). To help resist theft. A large chamfered hole would aesthetically look much better than just a 1/2″ bolt-hole, but with an optional reduction top-hat washer supplied, should the owner desire to secure their US$5000-plus new iMac to their desk. Hope you dudes from Apple read this, and take my ideas on board. Not a bad point there, but Apple is (in my opinion) saving the big money for the MacPro release they said was due out later net year. I’m kind of hoping they blow a whole in the super expensive HDR production monitor market but releasing a 30″ Apple monitor that would at least get most of the way there for a third the price or something. My, my how far hardware has come along! Apple’s new Beast of an iMac in the iMac Pro blows my mind! Hopefully we won’t have to wait until next December to order Apple’s new encarnation of the Mac Pro. Hopefully they will debut it by WWDC 2018 and release it that month like most of the hardware announcements this year. Loving my new iPad Pro 10.5″! Awesome performance so far and it will only get better with iOS 11! What I hope Apple will finally support is PCI-e Graphics cards for TB3 Expansion Chasises that are hopefully in the works now by great hardware developers like Sonnet Tech & OWC. It would be cool if Apple would allow support for TB3 PCI-e expansion cards that could be used with the older Mac Pro towers. Some USB-C PCI-e Cards for Mac Pro tower have surfaced in the past year. That would allow extension of use of many older Mac Pros until the new Mac Pro hardware will be available thus demonstrating Apple’s continued support for the Professional Community.